The 2017 Ford Raptor, as you may have read about in a previous blog post, is an absurdly awesome piece of engineering. This brilliant pick-up truck is unstoppable in virtually any terrain and has technology that helps it go farther and faster than any other off-road truck. While remarkable technological advances place the pick-up truck firmly ahead of the competition, two deserve special attention. First, there is the all-new 10-speed transmission; second, there is the Ford Raptor’s new terrain management system, which allows the truck to traverse treacherous road conditions easily. This truck is so powerful that we at Mainland Ford wanted to explore what propelled this truck into new and even more impressive territories. One of the biggest upgrades to the new 2017 Raptor was a 10-speed transmission, created through a joint project with Ford and GM. 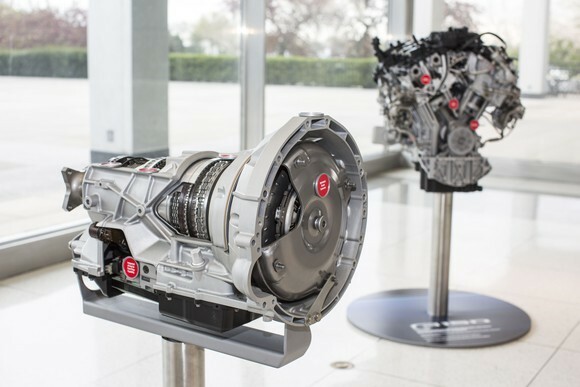 Unlike anything currently on the market, this monster transmission will be in at least 10 cars—from both companies—in the next few years. While it may seem like a shock, this is not the first time the two auto giants have come together to work on transmissions. In the early 2000s, the companies co-created a six-speed automatic transmission for transverse-engine cars and crossovers. This six-speed transmission was found in a number of cars across both lineups. The venture was a success, and in 2013 the two companies came back together to develop two new automatic transmissions: a nine-speed for front-wheel-drive vehicles and a 10-speed for rear-wheel drive cars and trucks. The companies foresaw the need for a tough transmission that could haul anything yet was cheap enough to be produced by the millions. Now, the new 10-speed transmission is here and sports some impressive specs. 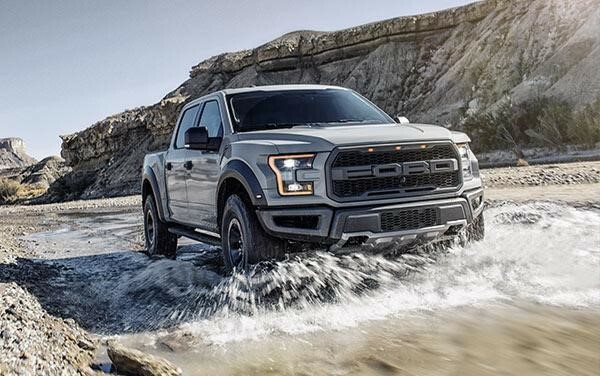 On the Ford Raptor, the new transmission is mated with Ford’s new 3.5-liter EcoBoost twin-turbo V6 engine, which replaces the previous EcoBoost engine released in 2009. The new system gains about 10 horsepower (hp) over the 2016 system, reaching 375 hp and an impressive 470 pound-feet of torque. This combination of technology and power means that the 2017 Ford Raptor can easily haul between 2,700 and 3,600 kilograms without strain. The new terrain management system is similar to that on the Ford Explorer, except way more advanced and much more powerful. Starting with mode selection from the steering wheel, the terrain management system offers drivers six driving options that ensure the Ford Raptor can handle any terrain imaginable. Drivers can also choose to control traction and stability systems separately, allowing experienced drivers more control over their trucks than ever before. Let’s explore the new driving modes offered by the Ford Raptor’s terrain management system. The first, and perhaps most traditional, mode is aptly called Normal mode. Though it’s not explicitly stated, this is the driving mode that most drivers will use in standard driving conditions. This mode allows the truck to behave like a standard F-150, as opposed to the unbelievable monster it really is. When drivers want to feel like they’re in a Mustang, there’s Sport mode. When engaged, the steering gets slightly heavier, and the Raptor increases its throttle response so that the pick-up can shift gears more quickly, as well as hold gears longer. This provides the driver with full power at each step. This driving mode is best suited for well paved, winding roads. Just be prepared for your knuckles to go white while driving. The final “normal” driving mode, best used in slippery conditions, is Weather mode. Regardless of whether there is rain, snow, or even just a bit of moisture, Weather mode keeps your wheels firmly on the ground. When enabled, the system automatically engages 4WD Auto, reducing the AdvanceTrac electronic stability control system, while throttle response and shift schedule are optimized on the fly to provide maximum grip. For more extreme conditions, the 2017 Ford Raptor has Muddy/Sand mode, which automatically engages 4 High, as well as the electronic locking differential. Meanwhile, AdvanceTrac kicks in and to keep you firmly planted on the ground, despite less-than-firm conditions. Even power steering is adjusted to provide the driver with maximum steering assistance without detracting from the thrill of powering through road conditions that would paralyze a lesser pick-up. When going for a more traditional off-road adventure, the Raptor’s Rock Crawl mode becomes much more appealing. When the going gets tough, switch to this driving mode, which drops the vehicle in 4 Low and automatically engages the electronic locking differential and sets AdvanceTrac to its least intrusive settings. At the same time, Rock Crawl mode automatically optimizes transmission response and throttle modulation to provide greater control. The coolest feature of this mode isn’t just that it glues the truck to the road surface—it also engages the Front camera system to allow drivers to see what is right in front of them at speeds up to 15 mph. Finally, there’s Baja mode. This mode is built exclusively for fun. It dials down traction and stability control settings but improves the engine’s response time and speeds up the transmission shift times. It makes for an absolutely terrifying, but thrilling, off-road driving experience. This is the Raptor’s least intrusive driving mode overall, as it engages 4 High only. Baja mode is as terrifying as it is given it’s named after the Baja 1000 Desert Race, which had previously been used to test trucks. When originally announced, it absolutely decimated the Baja 1000 course, as seen in the video below. Once you get behind the wheel of this absurd masterpiece, you’ll see and feel that this car was designed to provide maximum comfort while ensuring a white-knuckle driving experience. The expected release date for the 2017 King of the Road, Ford Raptor, is Fall 2016, and Mainland Ford will be stocked! 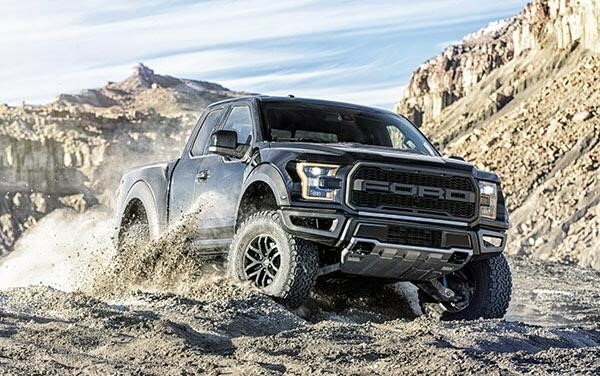 If you think you can handle the more-powerful-than-ever Ford Raptor, contact Mainland Ford in Surrey, BC, today to test drive this incredible piece of machinery. 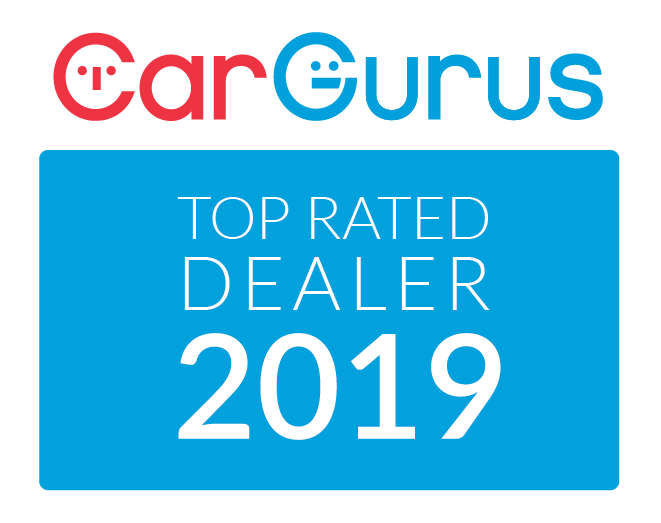 Our sales experts are available to answer any questions you have and make sure you walk away with the vehicle you’re looking for.